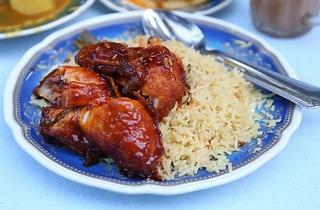 From the outside, Restoran Mahbub is the high school jock – big in size, well groomed and unsubtle in greatness. In fact, at night, Mahbub’s business takes up three lots, with chairs spilling into the CIMB bank compound next door. If you want to sit outside, you’re likely to wait for tables to free up or risk being relegated to the stuffy indoor area. You could sit in the airconditioned room as well, but it’s not a trip to the mamak if you’re eating in the comfort of 17C air. Mahbub might be a ‘premium’ mamak restaurant, but after midnight, it’s only one of two reliable supper options in Lucky Garden, the other being Om Shakti Chelo’s with its outrageously addictive brown sugar appam. 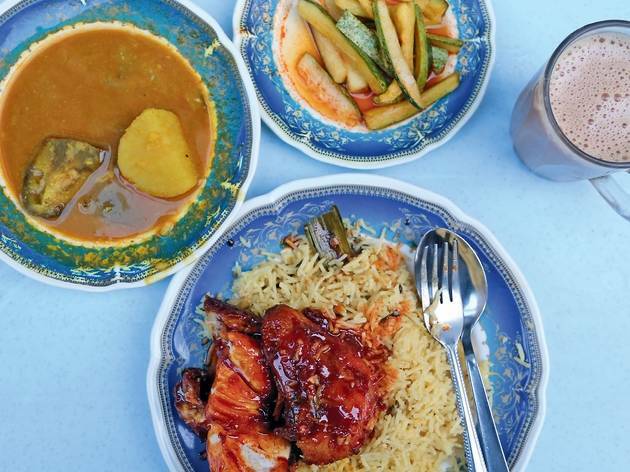 Mahbub’s biggest pop hit is the nasi biryani ayam madu, whose prominence (since the ’70s) is slapped across the restaurant signage. The saffron-coloured biryani is exemplary of skilful big-pot cooking – fluffy and light long-grains with a slight kick from anise and fennel. 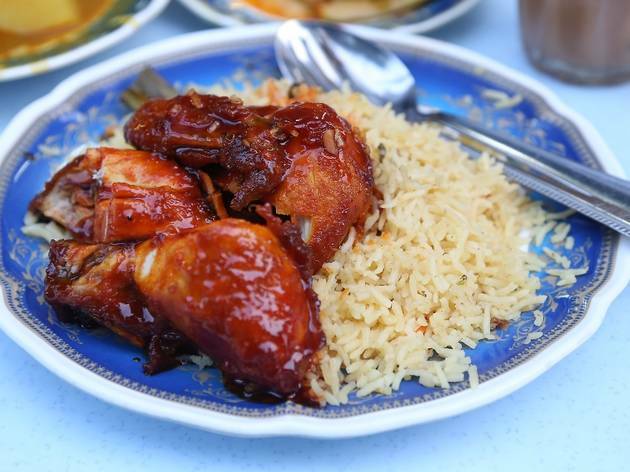 The ayam madu too is well cooked – it’s fried just below the number of minutes it would take to turn stringy, and turned in sweet, sticky honey when still warm. The rice set is served with a plate of mild dhal designed to pair with the rice, as well as a crunchy carrot and cucumber acar. 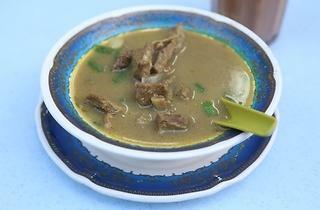 I suggest you mix in a dollop of daging masak hitam gravy from the display counter. As much as I like a good biryani, the reason I go back to Mahbub is the naan. It’s so easy to overwork naan dough, to get it textured like rubber wheels. 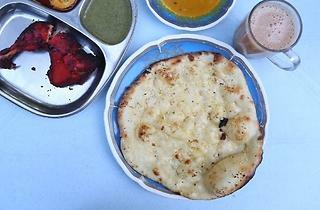 But here, the naan comes piping hot and remarkably pillow-y with burnished hollow pockets that crisp up in the tandoor. 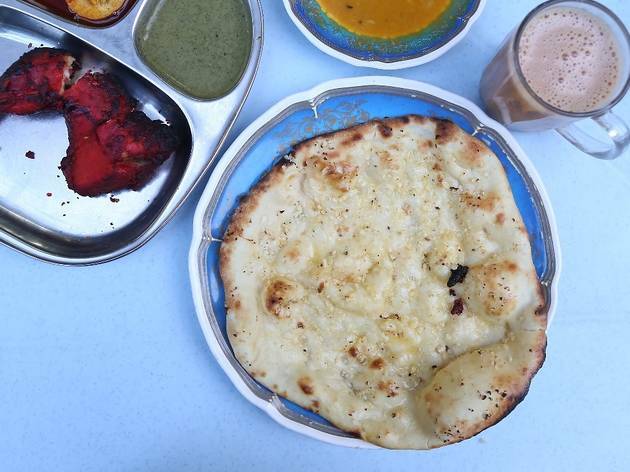 If you, like me, are Malaysian, you’d order the butter-garlic or cheese-garlic version. And dare I say I’d rather be eating Mahbub’s tandoori chicken than their ayam madu? You can tell that the chicken sits in a liquid, like yoghurt or buttermilk, for a long time for it emerges from the oven with flesh that squirts juice. 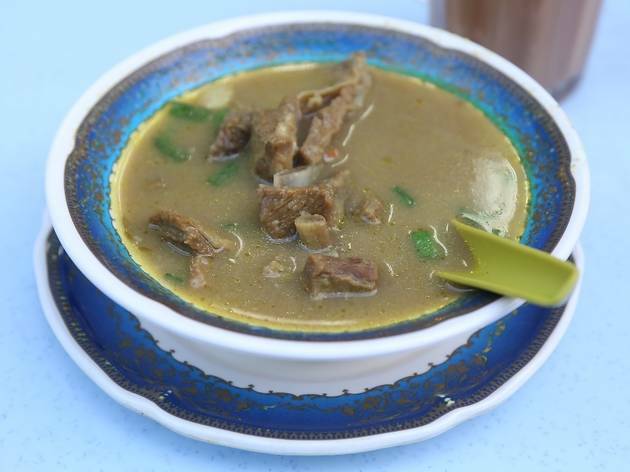 I will stop gushing about Mahbub once I tell you about their version of what I think is the best comfort food dish that exists in our city – sup kambing. In one word, it is badass. There is an abundance of pounded coriander accompanied by the sharpness of coriander leaves, there are goat chunks left on the bone, and there is marrow that brings an unusual lushness. 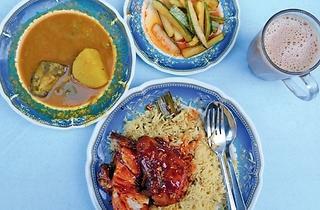 It’s an intensely delicious perk-me-up as Malaysian as they come.